For most of my life, I've been a slave to those elastic bobbles with the weird bits of metal which are a) ugly b) bad for your hair and c) don't last very long. Now that I'm older I want to take care of my hair a bit more, so I've been looking for alternatives. 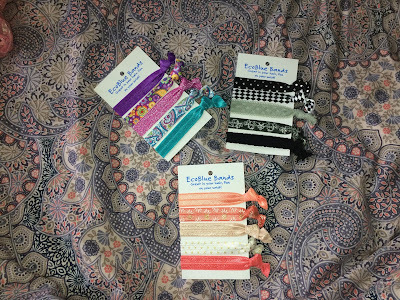 When I spotted Eco Blue on Etsy, I fell in love with their hair ties. 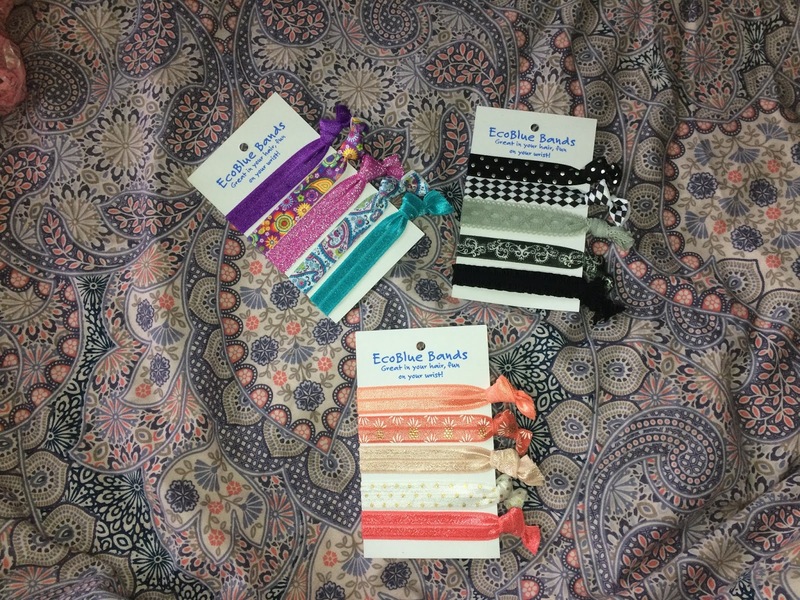 The lovely Gill, who runs Eco Blue, sent me over 3 packs of hair ties* and boiiiii are they cute. 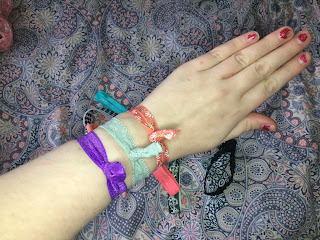 I got a back & grey pack, a purple/pink/blue pack and a peachy-coral pack, each with 5 hair ties in. The packs of 5 retail for £3.29 each, and I think that's a really decent price point. My personal faves, and the ones I've been wearing the most, are the pink sparkly one and the lacy grey one. So cute. Gill buys the elastic and then assembles the colours and sets herself, which is so fab - a more personal touch than buying bobbles from Primark, and I think the designs she's chosen and curated are amazing. They're brilliant quality, and don't leave a kink in my hair which is brilliant for me. You can also ask for sets that are all of the same elastic, or all glittery ones etc (the dream) - which Gill says is the beauty of Easy! I love this, that Gill is so happy to give customers exactly what they want; you don't get that with big brands and I think that's one of the lovely things about supporting indie businesses, something I want to do more of in 2017. 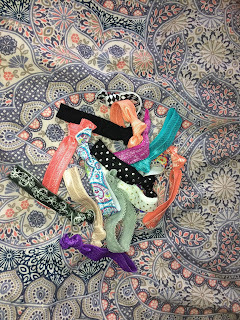 I love these hair ties! 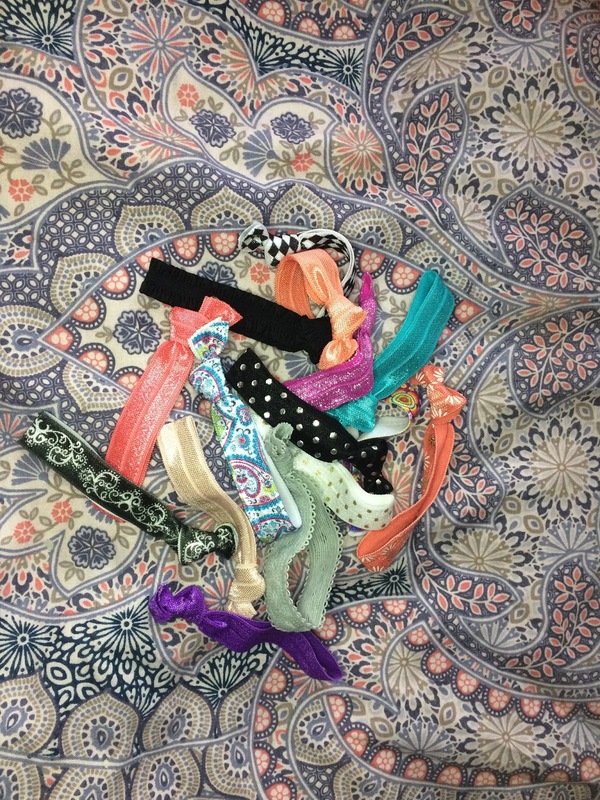 I switched to yogi ties a while back and they made a huge difference to my hair, less snaps and snags, and they come in so many pretty colours and patterns! Love it! I will bobble tie no more!